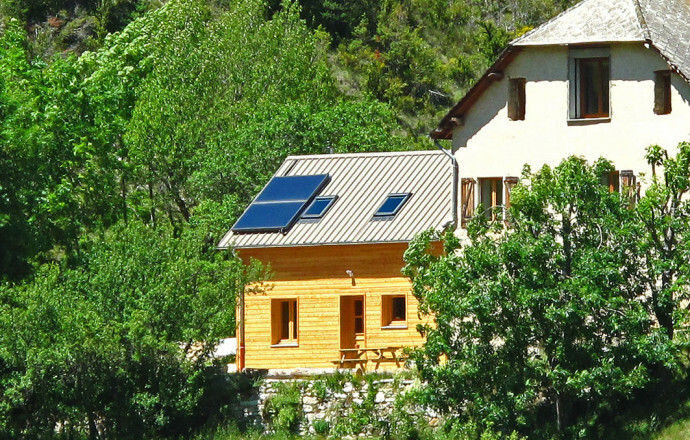 A respectful environment surrounded by nature in a small peaceful Valley cottage between Drôme provençale and high mountain. At the heart of a small Valley located in the peaceful area of the upper Buëch, between baronies Provence and mountain ranges, this cottage is located in a preserved natural environment, it is next to the House of the owners and offers greater independence. Housed in the concern for the respect of the nature, it uses renewable energy for domestic hot water and for heating, Green materials were used for its construction. The surroundings have pleasantly designed with unterrasse facing South, shady summer, and a large playground at disposal, garden furniture, barbecue. The living, spacious room, boasts a relaxation area with TV and fireplace, a dining area and an open integrated kitchen (freezer, dishwasher, microwave and all necessary equipment). The bathroom and the toilet are located on the ground floor. Washing machine. Two rooms were built on the floor with 4 beds be combined one. The owner offers the rental of sheets and towels and put available bed, Chair and little material on request. A granulated wood stove ensures the heating, pellets are provided as part of a consumer. The beekeeper owner can make you discover its products. Furthermore it can organize on-site internships photo or on the topic of beekeeping. To rent this cottage can also be paired with other accommodation located on the property (the cottage No. 1176, also referenced to the Gîtes de France network), a large living room can be made available, it has a kitchen and lies between the two rooms. Located on the edge of forest, near a small river and open spaces, you can practise on-site or nearby, many nature activities: hiking, mountain biking, cycling (Luz pass the high cross, Col de Cabre, high Beaume...), discovered the forest Durbon and the sites of the Beauchêne. These accommodations meet with very strict regulations concerning the environment, and are testify to the practice of responsible tourism. 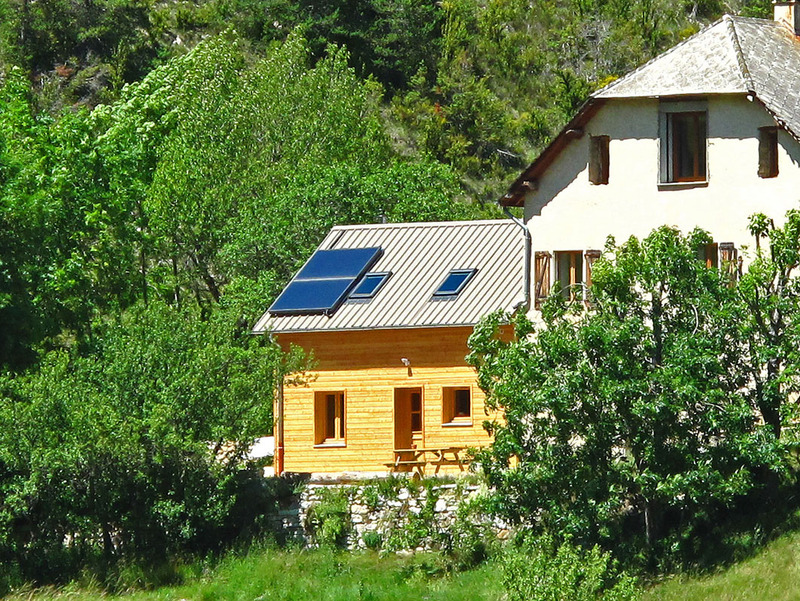 The 'Ecogîte' accommodations use renewable energy and are equipped with energy saving devices, they practise recycling and manage water resources. The owners, sensitive to the respect for nature, have chosen to meet the requirements of the label Ecogite to enhance the measures taken to promote well-being in their accommodation and limit the impact on the environment. 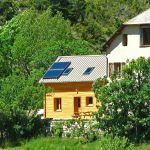 The construction and insulation by healthy materials, the use of wood for heating and solar for hot water are the strong points of this accommodation in this area.